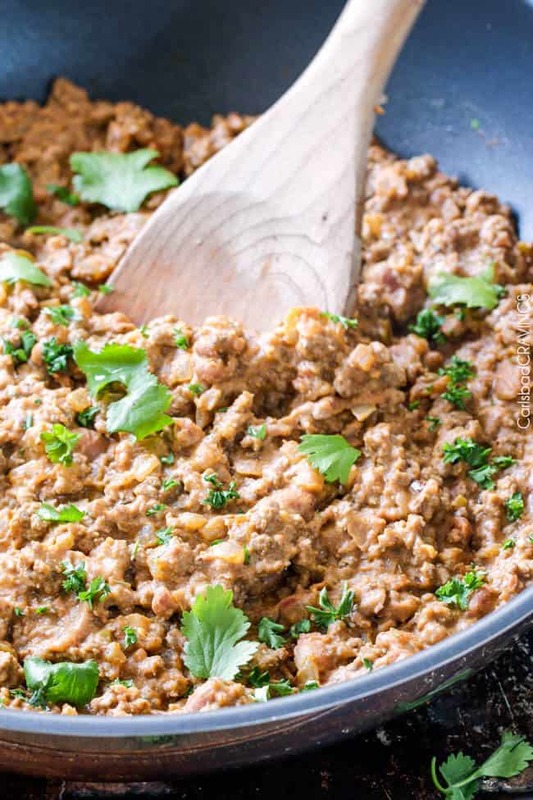 I thought these Beef, Bean and Cheese Burritos would be fitting for Cinco de Mayo, but sometimes you just need a Beef, Bean and Cheese Burrito every other day of Mayo – and all year round. Or in my case, burritOS. For all those busy nights, lazy nights, don’t want to cook nights, “what should I make for dinner?” nights, need something NOW nights, need something everyone will LOVE nights – Thank you Beef, Bean and Cheese Burritos. The burritos themselves are completely customizable with everyone’s favorite filling extras and/or toppings like pico de gallo, sour cream, guacamole, salsa verde, lettuce, etc. so everyone’s palates and bellies will be singing your praises. And you will be strongly tempted to make Beef Bean and Cheese Burritos every night. Or at least every other night along with my sensational Mexican Rice. 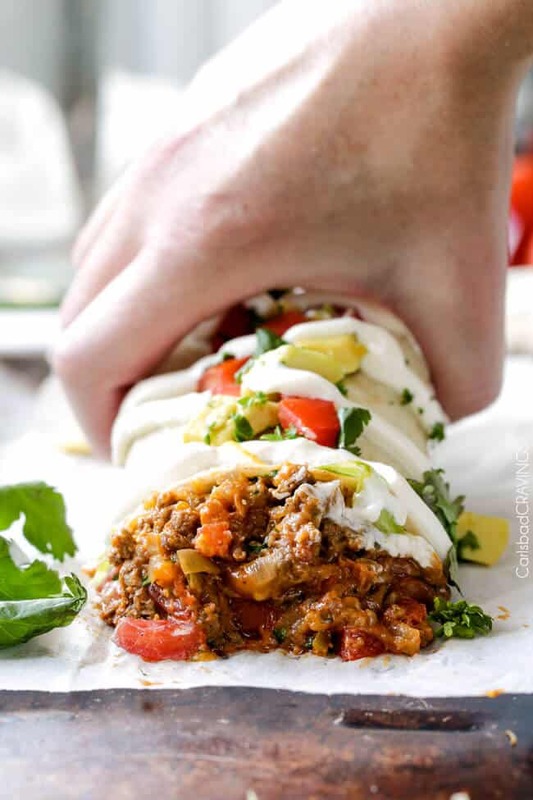 Want to try these Best Beef, Bean and Cheese Burritos? 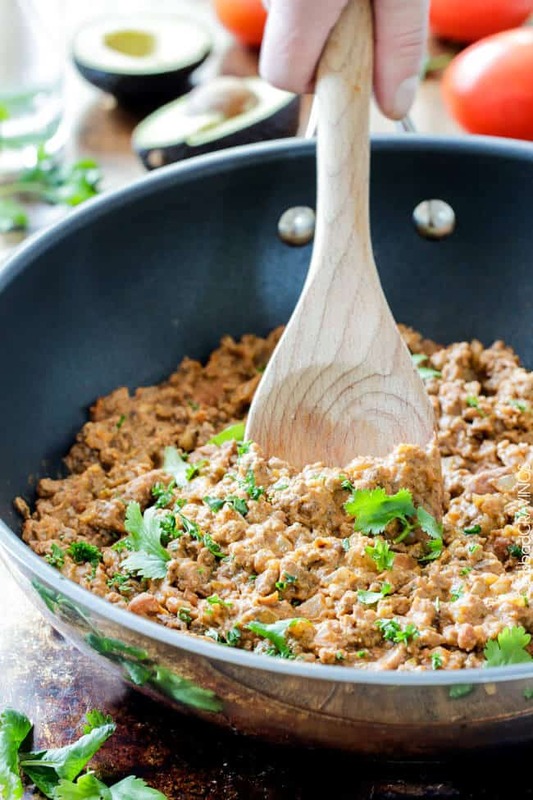 Pin it to your MEXICAN, DINNER or BEEF Board to SAVE for later! 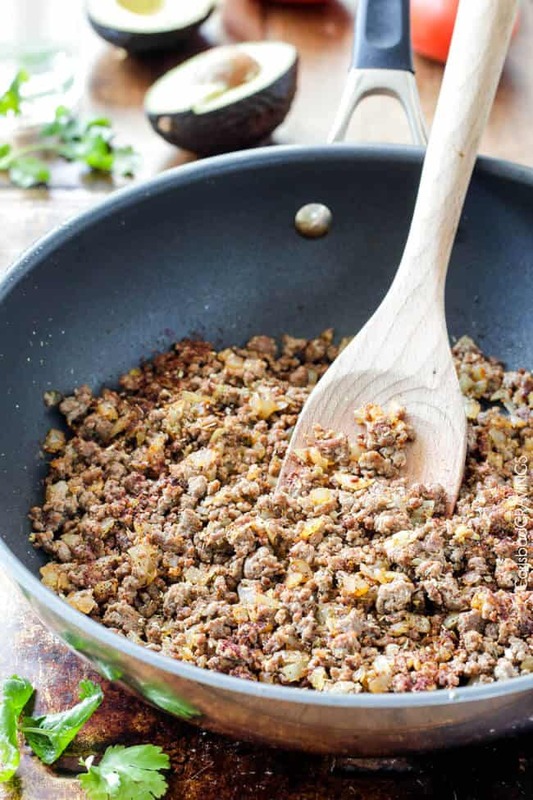 Add onions and beef to a large skillet and cooked over medium heat until onions are softened and meat is cooked through. Add garlic and sauté for 30 seconds. Drain off any excess fat (if there is any). 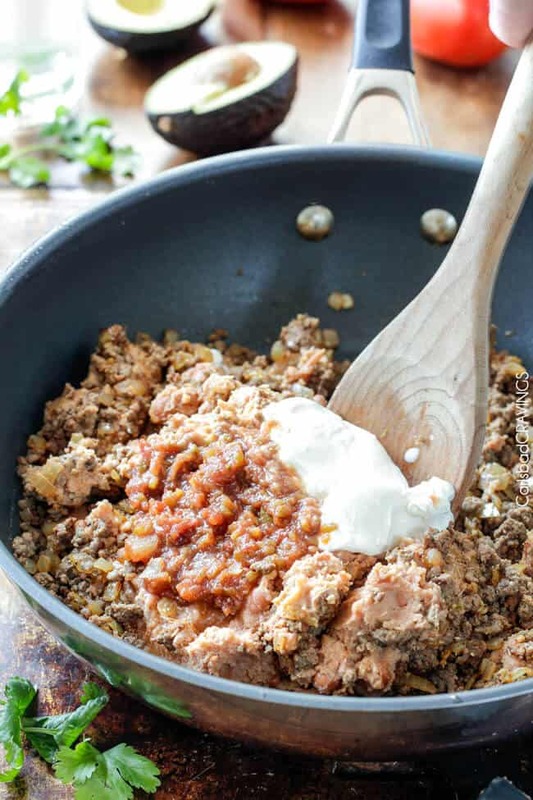 Stir in all of the spices/seasonings, followed by refried beans until well incorporated, followed by sour cream and salsa. Heat through. If using raw tortillas, cook according to package directions. If using cooked tortillas, stack them together on a plate, cover with a damp paper towel and microwave for 30 seconds or until warmed through. Line the middle of each tortilla with desired amount of cheese. 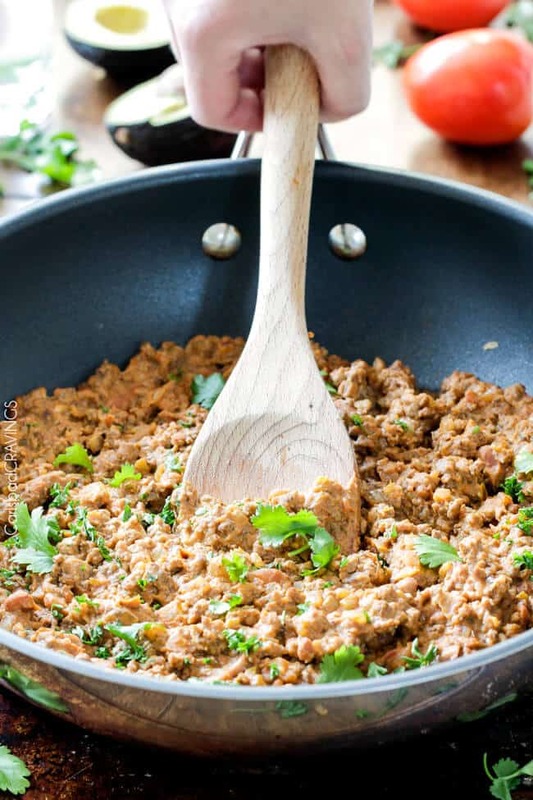 Top with Bean and Beef filling and any additional desired filling ingredients. 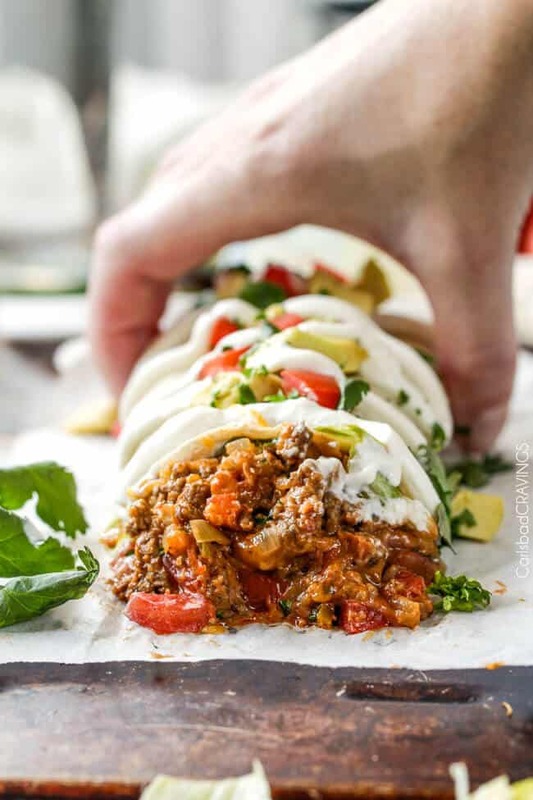 * Fold in the edges of each tortilla and roll up “burrito style.” Serve with additional sour cream, guacamole, etc. (optional). Optional to “crisp” burritos: Heat a large nonstick skillet over medium heat. Add burritos, 3 at a time, seam side down, and cook until golden, about 2-3 minutes per side. *You can also stir desired amount of cheese directly into bean and beef filling on the stove. All beautiful recipes, Jen. Thank you. You are welcome Liz, than you! Happy Cinco de Mayo! Oh good, so glad this recipe came just in time and it sounds like its in line with what you are craving 🙂 Happy Cinco de Mayo! Love that you made them already and love that you put your twist on them! Burritodillas sound divine :)! So happy you loved the filling! Thanks Dorothy! WOW!! These look so good! I’ve always got my eye out for quick recipes for busy work nights! And who doesn’t love a burrito?? Can’t wait to try these! Have you tried freezing them? I would love to make a bunch and freeze some for later. We make something like this every Sunday. Sunday is Mexican day in our home and it makes great leftovers. Can’t wait to make this recipe friend. Sharing on FB today, Pinned, Yummed and can’t wait to devour. 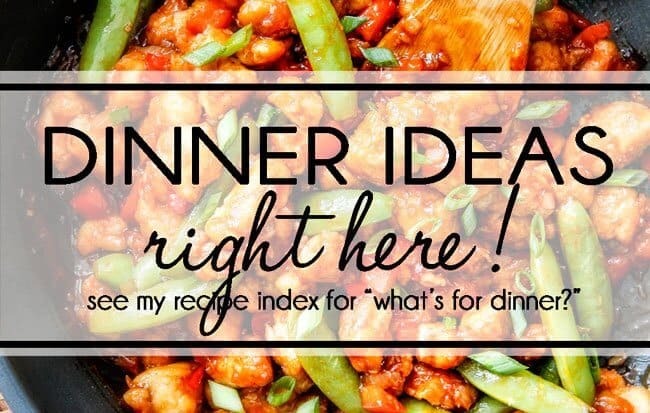 Found this on Pinterest today and made it for dinner tonight. Our tweaks included adding rice (as you suggested! ), substituting a splash or two of heavy whipping cream for sour cream, and using a chili con queso dip in place of the cheddar. My boyfriend told me I MUST make these again! Thanks for the great recipe! mmmmmm, Your substitutions sound delicious – especially using chili con queso instead of cheddar – drool! So happy you enjoyed these Emily and thanks for taking time to comment! This looks so good! Do you think you could pre make the filling and freeze? I’m 5 months pregnant and I’m working on a stockpile of freezer meals and these look so tempting! Thanks!! Yes, I think this should freeze beautifully! and way to go on your meal prep (very impressive!) and congrats on the future baby! These were fantastic for a simple burrito, and my husband said “just like crispitos from back in school!” And yes he was right that’s the filling flavor ha ha ha. Very tasty and a total blast from the past!! Thank you for a great share! You are so welcome Kris! Its always fun to find a recipe that brings back good memories! So happy you both liked it, thank you! These were the best burritos I’ve ever made. And, the third recipe I’ve tried of yours that my entire family went crazy for. Thank you!!!! YAY! That is awesome Heather! I LOVE hearing you loved these so much AND that you have enjoyed some of my other recipes! Welcome to my site, I hope you continue to find more recipes to love here! These burritos are FANTASTIC! I have made them at least every other week since finding this recipe. SO easy and yummy! From one Carlsbad-ite to another………THANK YOU! Thank you Maureen! I’m thrilled they are such a hit and on constant repeat at your house! And that is awesome you live in Carlsbad – I get readers from all over the world so its fun to hear from someone next door! I am so grateful I stumbled across this recipe! Thank you so much for posting! The bf wanted burritos and decided to let me know only about half hour before he got home. LOL. I’ve never made them before so scrambled looking online for a recipe with beef, bean AND cheese and this was one of the only recipes that popped up with the 3 main ingredients in the title. Luckily we had everything to make them in the house already! These were fast and easy to make and SO VERY DELICIOUS!!! We both loved them!! Definitely keeping the recipe for future dinners!! YUM YUMMM!! Welcome to my site Crystal, thank you for taking the time to comment! 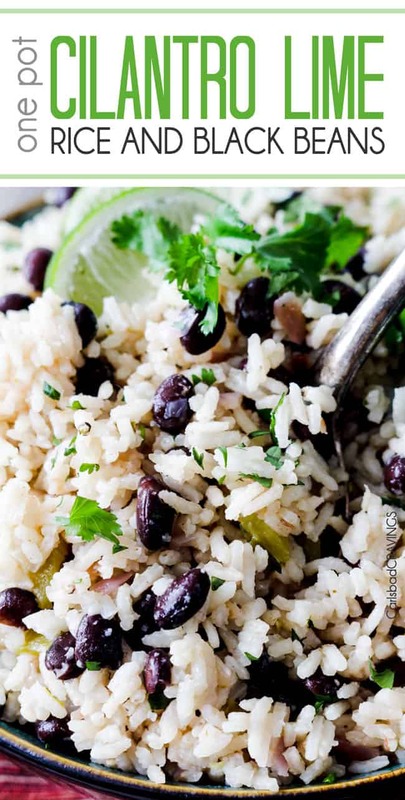 I’m thrilled you found this recipe and it fast, easy and delicious! I hope you have fun exploring my site and hopefully find many new favorites! Just made the beef filling and loved it! I have never been a fan of taco seasoning packets. I would like to make this filling for a burrito bar party. Do you think I could make the filling the day before and reheat day of party? If so, would you make it the day ahead WITH the sour cream or would you make it with everything except the sour cream and add that the next day when reheating? Hi Susan! A Burrito Bar Party sounds so fun! You can make it with everything in it beforehand including the sour cream. When reheating it might need a tablespoon or so of milk just to add some moisture back in but other than that it should reheat great! I’m so happy you liked them! Thanks for taking the time to comment!